Been busy not blogging due to hectic schedule and entertaining a friend who is visiting Israel and staying with me. Its always funny how one word in one language can meaning something humorous in another language. This looks like this sign is saying ‘elo. Saying ‘ello (Israelis drop Hs in a similar way to the French) is more of a way getting someone’s attention than a greeting in this country. 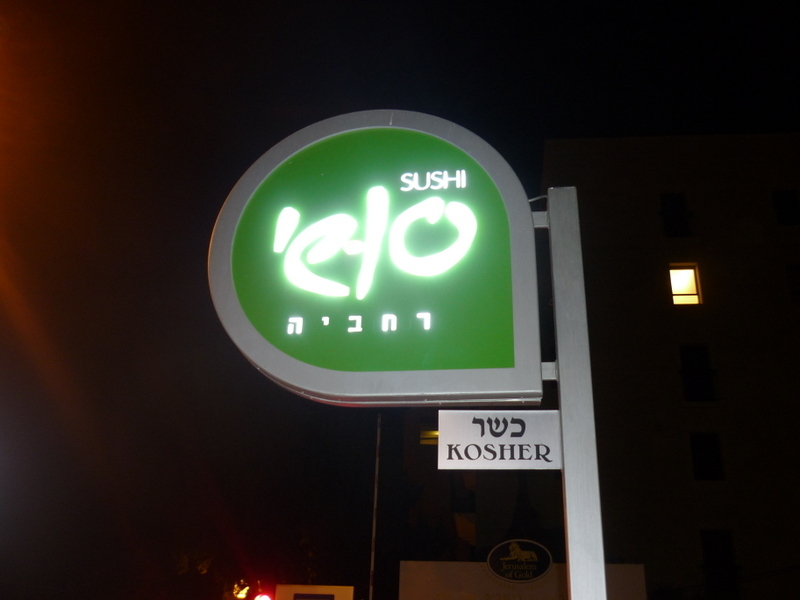 However if you read this in Hebrew cursive script its just the word “Sushi” funnily enough.